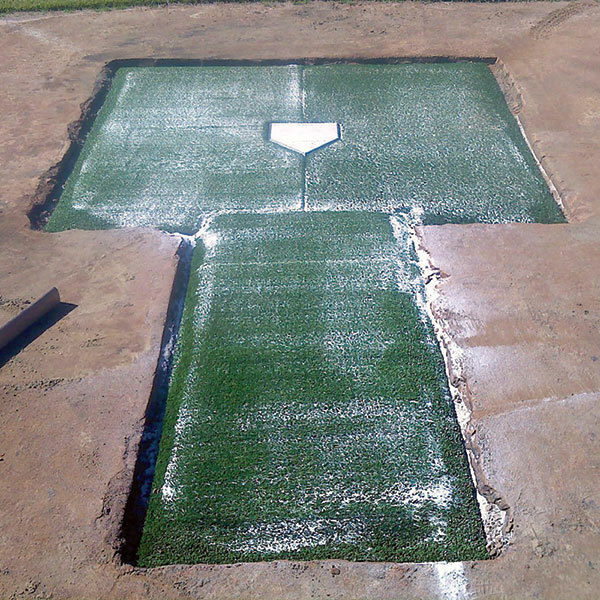 The best fortification alternative for high-use, low-maintenance fields. 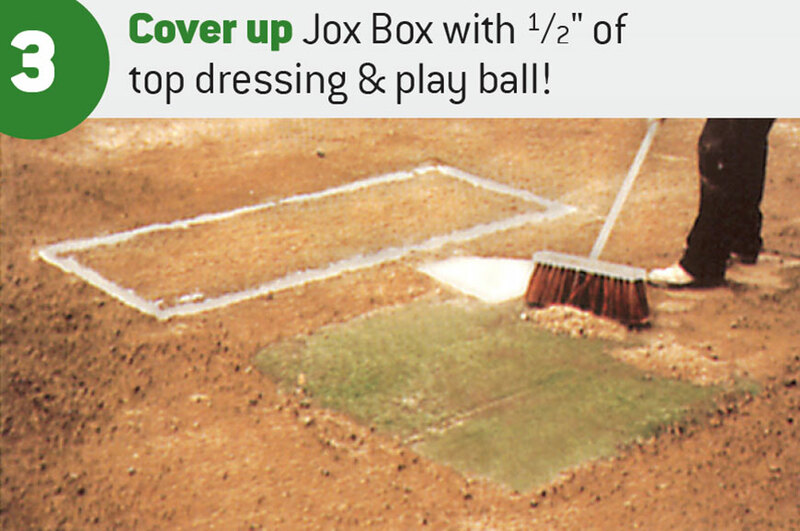 The Jox Box® allows players to dig in for solid comfortable footing without creating dug-in holes. 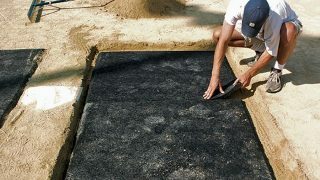 Sold as set of two mats. Select from three types: Original, Deluxe, and Youth Deluxe. 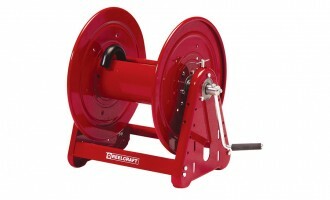 Designed to last for several years without showing significant wear, when maintained properly. 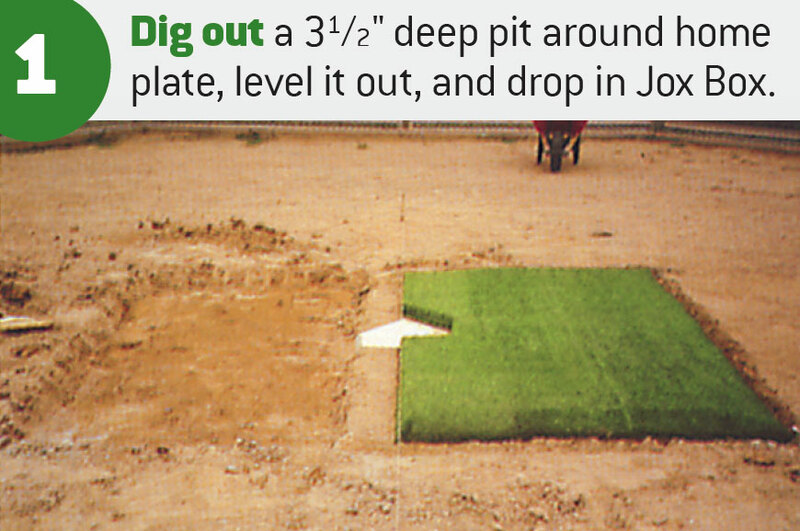 It allows players to dig in for solid comfortable footing without creating dug-in holes. 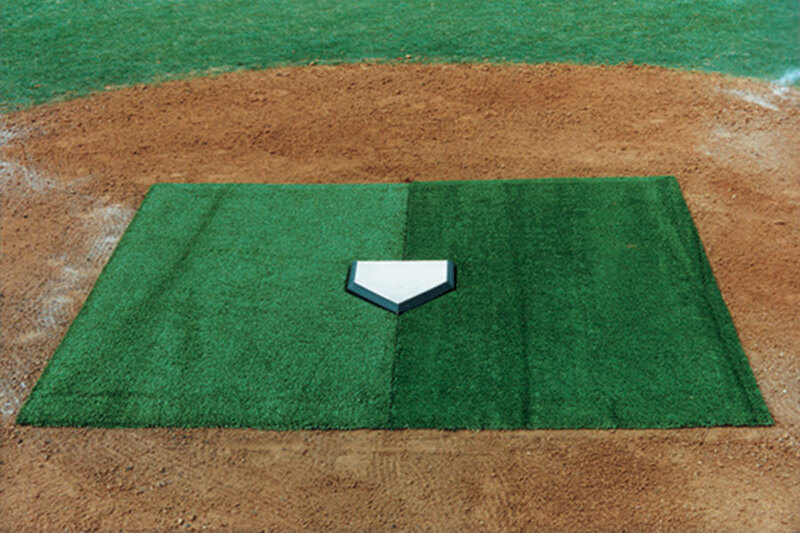 Constructed of a 2″ thick porous crumb rubber base topped off with a 3/4″ long artificial turf cover. 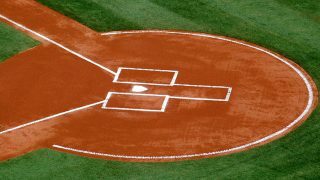 Jox Box® is approved by ASA and USSSA for league and tournament play. 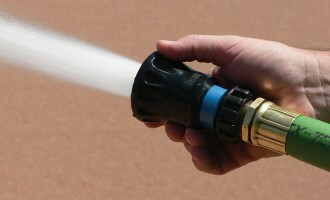 View photos for the easy “Dig out, Drop in, Cover up” 3-step installation. 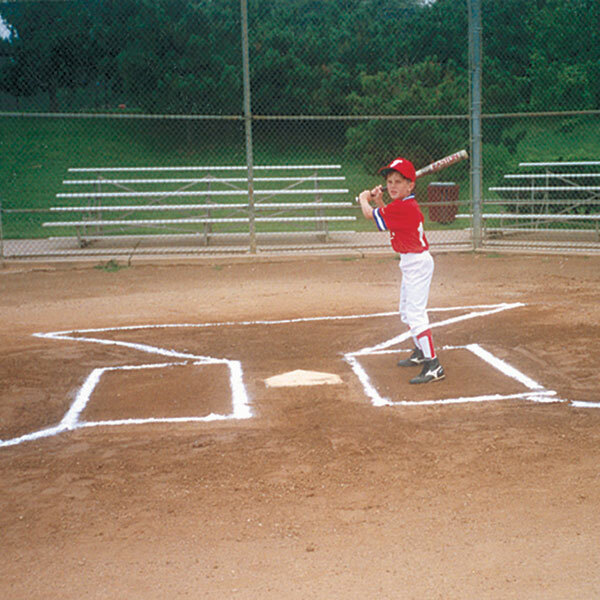 Use of the Jox Box at higher levels of play or with metal spikes may reduce their life expectancy. 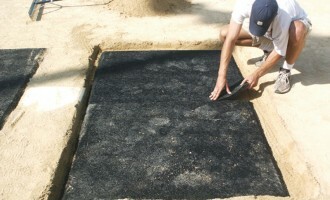 Product images shown before top dressing. 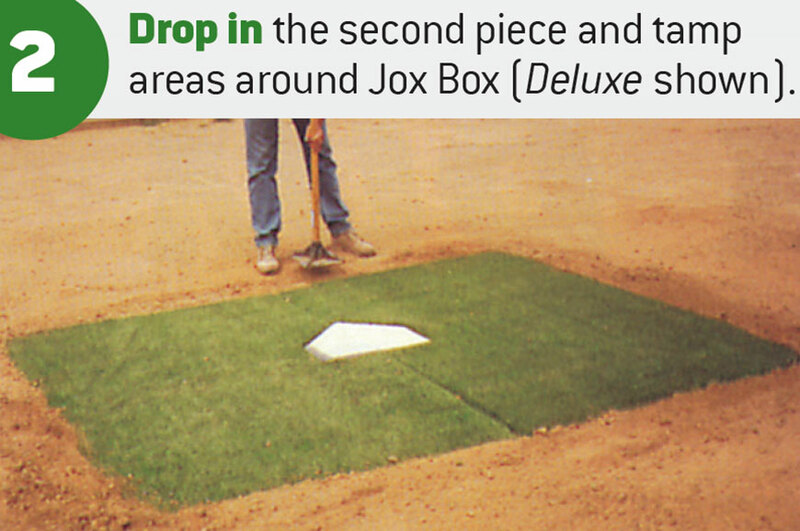 Original Jox Box: Install in batters boxes on each side of home plate. 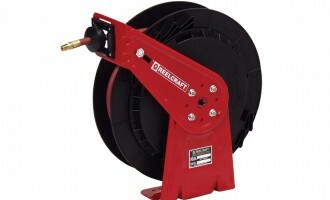 Set of two 4’W x 8’L. 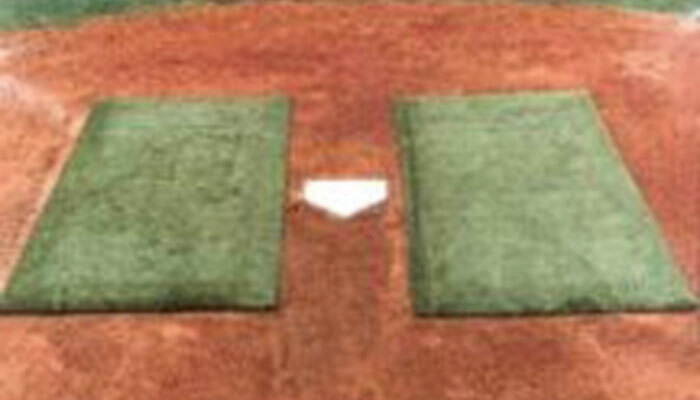 Deluxe Jox Box: Set of two 8’W x 10’L mats for both batters box with home plate cutout. 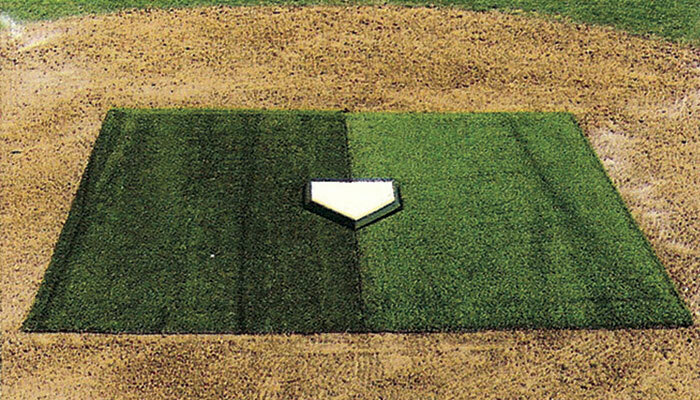 Youth Deluxe Jox Box: Set of two 7’W x 9’L mats for both batters box with home plate cutout.